NBOA Human Resource Compliance for Independent Schools is a four-week online course designed for both human resources professionals and business officers who have oversight and responsibility for human resources. Participants will develop an understanding in key areas of federal human resources compliance and be empowered with the knowledge and tools to spot issues, address day-to-day human resources challenges, improve their policies and practices, and know when to engage legal counsel. 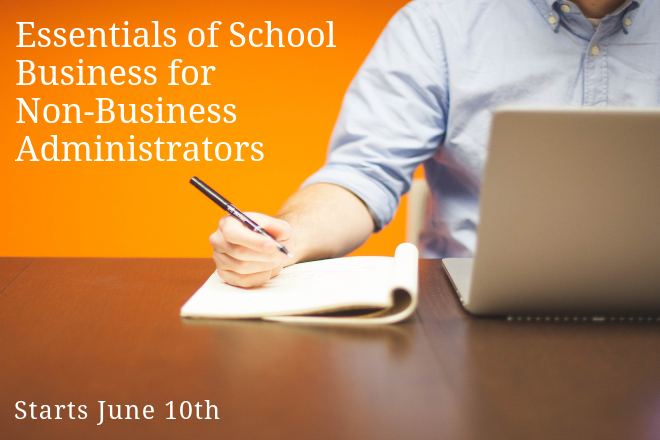 NBOA courses are not a series of webinars. They are offered on an asynchronous online-learning platform. Through sharing information about your school with online colleagues, and by interacting with the class facilitators, participants gain a comprehensive understanding of independent school human resources compliance. Participants will also learn leadership techniques and management skills to apply at your school. Discover resources for ongoing operational support and establish a national learning community of peers with whom you can continue to explore the concepts of human resources compliance within independent schools. Each week, a different topic will be covered asynchronously, so that while participants should plan to work for 3-5 hours each week on the class, the timing of that work can be flexible. The class uses a variety of resources including articles, recorded webinars, case studies and discussion boards. Participants will gain the greatest value from this course if they share information about their schools, allowing the facilitator and colleagues to make comments and suggestions. Topics will include: hiring, evaluating and separating employees; employment contracts and letters; exempt/non-exempt classifications; disabilities and reasonable accommodation; family and medical leave; and employee policies and handbooks.